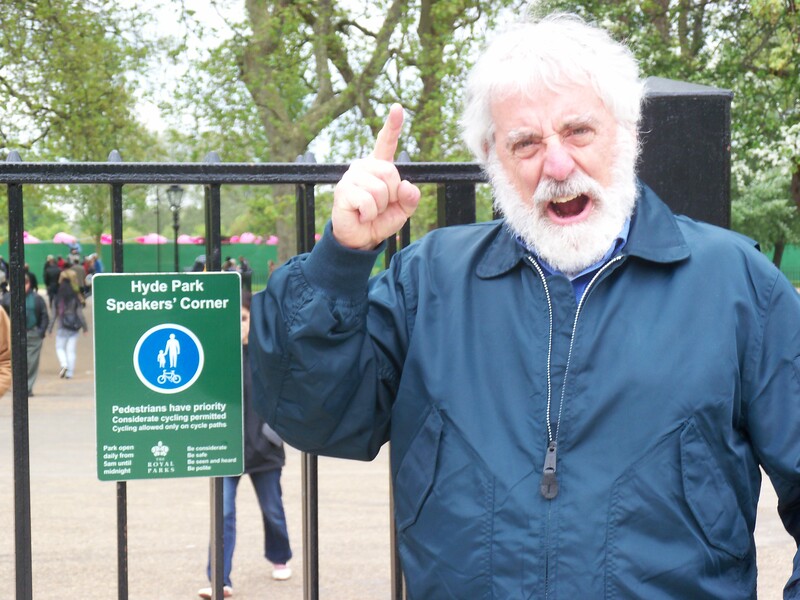 Across the way (Hyde Park welcomes speakers of all religious persuasions) a Jewish man teetered on a step-stool. (Apparently those in-the-know bring their own stools to rise above the throng.) He (a lovely voice, a cantor perhaps) held a Torah in his hands and was singing. His crowd was smaller. Apparently, people like listening to rants better than listening to song. The angry man in the photo did not bring his step-stool. Ask him to rant and he will.